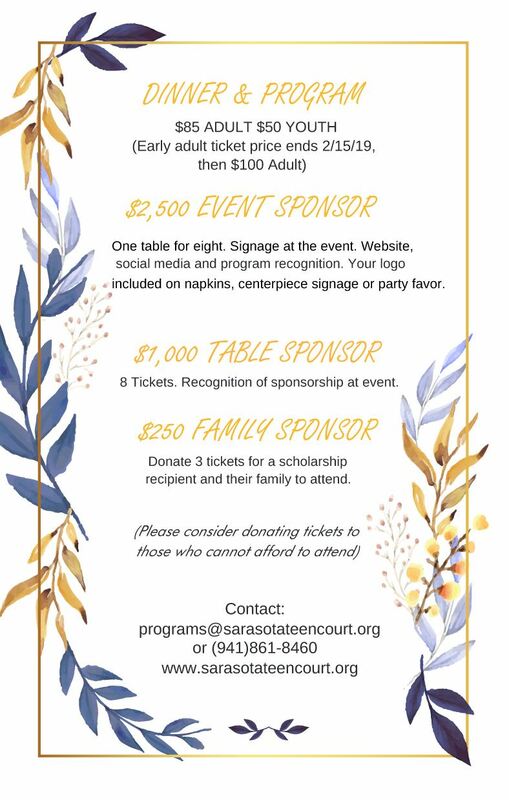 Teen Court of Sarasota, Inc. is a nonprofit organization and our fundraisers help to support the services we provide to the teens and their families in Sarasota County. The Scholarship Night Dinner is held annually and honors our valued teen volunteers that keep our programs going! 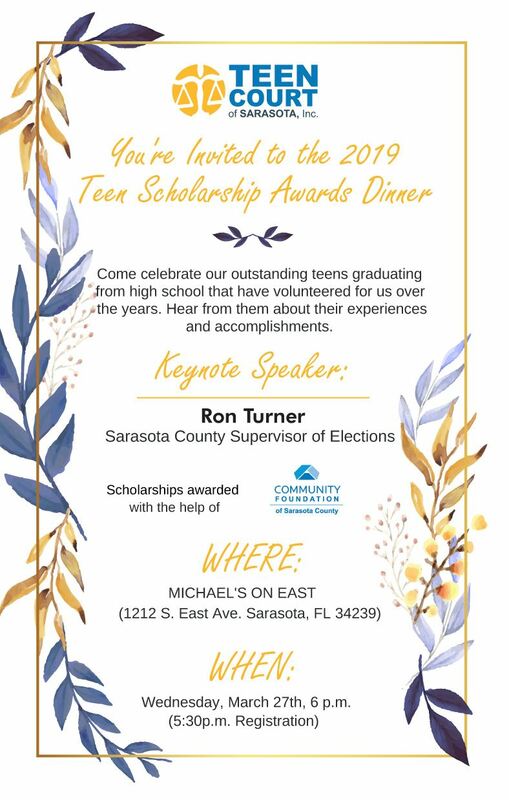 This years event will be held on Wednesday, March 27, 2019 at 5:30pm at Michael's on East.